Big spending on California politics has become one of the state’s largest industries. But the return on investment is lousy. California’s political system has become so heavily manipulated by labor unions and other big money interests that the system is broken. Legislators have become professional fundraisers instead of managing public policy. And the individual voter no longer has much voice or influence. It may sound farfetched, but the only way to fix this system is to expand it. California needs more lawmakers. For democracy to work, it must be representative democracy. It must be a government of, by and for the people. Last year Assemblywoman Shannon Grove, R-Bakersfield, pushed an initiative for a part-time Legislature. She succeeded in bringing much needed attention to the broken system. And while it may not be the right fix for a state as large as California, Grove started many people thinking seriously about doable reforms. Approved for circulation in California for the November 6, 2012 ballot, the Neighborhood Legislature sponsors did not submit any signatures by the deadline. But they are working diligently on it again for 2014. Under a Neighborhood Legislature, each of California’s 120 current legislative districts would be broken into 100 smaller districts. This would give California 12,000 legislative districts. This could be the reason so many of California’s political elites aren’t crazy about the idea. Political consultants would be virtually unnecessary for legislative seats, and the current crop of political elites would have their power and influence greatly diminished. While this is appealing to liberty-loving Californians, those now controlling the state would lose out. Changing the system would mean that each Neighborhood Legislator would be elected by only a few thousand voters — his neighbors — instead of 500,000 to 900,000 voters for the current districts. 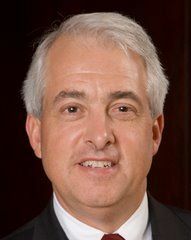 Cox explained that, by using this two-tiered system, the actual number of lawmakers who serve in the Legislature in Sacramento would remain the same. And the 100 newly elected Neighborhood Legislators within the 12,000 districts would caucus and select one person to serve in Sacramento. But there would still be plenty of accountability back home. California’s current population is 38 million, represented by only 120 state legislators: 40 state senators and 80 Assembly members. Compare that meager representation with New Hampshire. The “Live free or die” state is small, with only 1.3 million residents. However, New Hampshire has 424 elected legislators. Known as the General Court of New Hampshire, it consists of two chambers, the House of Representatives and the Senate. There are 400 Representatives and 24 Senators. Each member of the New Hampshire House, their version of our Assembly, represents only about 3,170 people, as opposed to the 465,000 in California state Assembly districts. Chances are, New Hampshire elected officials know most of their constituents. Yet New Hampshire legislators review more than 1,000 bills every legislative session — and do it for $100 in pay and a mileage reimbursement. Granted, the state is smaller than California. So what’s wrong with California? It’s all about control. The fewer representatives California elects, the more control and power they have. Even within the legislative body, only a few of the 120 members are actually part of the elite, controlling class. Far too few wield a big stick for a state the size of California. And that could explain why California is poised on the brink of disaster. Yet our Legislature and Gov. Jerry Brown are increasing speed. The surest way to guarantee outreach to the many different ethnic and cultural communities in California is to increase the size of the Legislature. The Republicans keep talking about Latino outreach, but have been ineffective thus far. Latinos are voting more heavily Democratic than ever. Yet Latino legislators themselves are frustrated, especially on education reform, as the powerful Assembly and Senate leaders are heavily influenced by the public-employee unions and other special interests. As long as too few legislators are elected to represent this growing state, the California Legislature will continue to be dominated by professional career politicians, who use the advantages of their offices to perpetuate their positions of power. California voters tried to deal with this by voting to impose term limits in 1990. But in the ensuing years, the political class has done a work-around. Legislators instead merely move from public office to political appointments, and state boards and commissions. Many are even going back to their communities and running for local offices, proving that they cannot leave public office. The concept of career politicians has become a very big problem in California. The question of who seeks to become a member of the Legislature in the first place anymore should make the voting public wary and take notice. The Legislature is no longer comprised of private citizens who work in the private sector. California would be best served by an elected body composed of citizens who served out of a sense of civic duty — who then went home at the end of their terms to live their lives in the private sector, as they did before serving in the Legislature. Cox says the nay-sayers claim special interests could overwhelm small districts with community organizers. “But candidates can follow them door to door, making their own case and telling the truth,” Cox said. And neighborhood candidates would know their neighbors and the neighborhoods. Cox said they will be able to arm themselves with persuasive policy arguments instead of the usual trite slogans and sound bites.